Kirkby Stephen Walkers are Welcome noticed in December that the footbridge over the gill on their Poetry Path had been cut up with a chain saw. 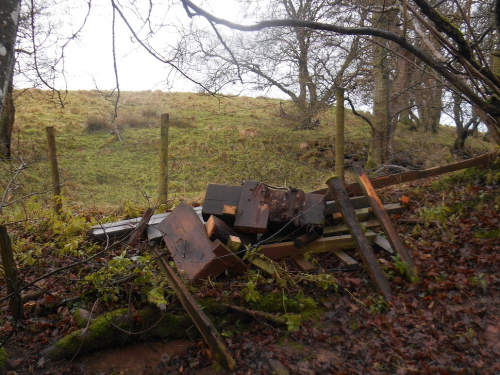 Initially, they believed that the bridge department at Cumbria Country Council, Countryside Access had decided to renew the bridge which had been reported on several occasions over the last year as the top planks deteriorated. This bridge was built by East Cumbria Countryside Project when the Poetry Path was installed. We are devastated, had we been advised, it was quite possible that we would have raised funding to have the bridge repaired ourselves. We are now left with a wobbly plank while deciding how to progress.